Elena Nekrasova, Director of the Scientific Music Library of the St. Petersburg Rimsky-Korsakov Conservatory, and honored librarian of the Russian Federation. Soon after graduation from the Academy of Culture and Arts, she started to work in the library of the St. Petersburg Conservatory and in 1986 became its director. Under her leadership the library became one of the most important scientific music centers of the country. The manuscript department of the library holds an annual scientific conference which attracts widespread attention of Russian and foreign scholars. Elena Nekrasova, author of many publications, has organized the publication of a series of books dedicated to examining the problems of music sources and has participated in many notable Russian and international conferences on the subject. Савелий Маркович Шальман (р. 1945) — известный российский скрипач-педагог, заслуженный работник культуры, кандидат искусствоведения. В 1963 г. окончил Музыкальное училище имени Н. А. Римского-Корсакова по классу А. Л. Рушанского, в 1968 г. — Ленинградскую консерваторию по классу профессора Б. А. Сергеева. Затем работал в оркестрах и камерных ансамблях. С 1990 г. преподает в Специальной музыкальной школе (колледже) Санкт-Петербургской консерватории. С. М. Шальман разработал и реализовал на практике эффективную методику развития юных скрипачей, которая сочетает высокий уровень требований с доступностью для широкого круга учащихся, обеспечивает их быстрый прогресс и стимулирует творческую увлеченность. С. М. Шальман постоянно ведет мастер-классы и читает лекции в России, европейских странах и США, входит в состав жюри российских и международных конкурсов. Anton Tano﻿﻿﻿nov graduated with honors from the St. Petersburg Conservatory (2000 Master’s degree, 2003 Doctorate) under Professor Sergey Slonimsky. On the faculty of the composition department of his alma mater since 2004, Dr. Tanonov became an Associate Dean of the department of composition and conducting in 2009. 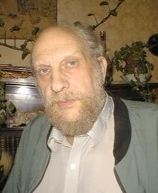 Tanonov’s compositions, written in different genres including symphonic, theater, chamber, and electronic music, are performed worldwide, most notably, in Austria, Germany, Italy, USA, and in his native Russia. Anton Tanonov is a Laureate of numerous competitions and participant of many prestigious festivals including the 15th International Composers’ Festival “Second of August” in Bologna, Italy (2009), Mariinsky Theater Young Composers’ Competition in St. Petersburg, Russia (2005), Moscow Bolshoi Symphony Orchestra (2005); he has received grants, fellowships and prizes from such prestigious venues as the Bayreuth Festival. Anna Konivets, Russian historian at the St. Petersburg State Hermitage Museum, author of many articles about the Museum, and Coordinator of the Gugenheim-Hermitage Project. Yuri Dimitrin - famous Russian author and librettist.